The word “speculative” gets short shrift in architecture. With the exception of “speculative practice” to refer to a research-based, exploratory approach to design, the term is overwhelmingly launched as an insult. Simply put, to call a project speculative is to call a building too closely affiliated with the profit motive. A “speculative building” serves nothing but the market. The term connotes that any project that is built simply to be sold must also be of diminished design quality. Architecture culture has a long-standing disdain for projects that sully themselves in the for-profit exchange of the marketplace. It instead tends to elevate projects with stories that repress their function as capitalist interfaces—we prefer the client as a muse, not as a means to keep the lights on. A speculative project is by definition built by a real estate developer, and no character in the standard tableau of architectural production is as typecast as they are. The developer’s role is to represent the baser instincts of capital.1 In common parlance, a speculative project suggests that there is no specific tenant or end user in mind and that the building is not tailored to a specific occupant. In many ways, it can be understood as a shift away from the longer Western history and tradition of architect-client relations dominated by the patronage model—in which elite architectural production entailed the close alignment of the design and the patron’s goals. Even the legacy of Modern architecture in the twentieth century had a lot to do with the notion of tailoring. Tailoring, while ostensibly the fit between form and function, presupposes a certain relationship between architect and client: that the client is the user.2 While in these older models, the building was designed for a specific use and user, the speculative project is developed for a generic use and user: the assumed average of, for example, all office workers. By the second half of the twentieth century, this generic user most likely emerged from the well-established tenets of consumer research, which increasingly influenced the discourse around design.3 It might be possible to map a similar transformation on to speculative buildings as researchers began to engage with post-occupancy studies of buildings, which aggregated data on building users to operationalize it for future projects. As the proverbial third wheel, the figure of the developer also threatens the idealized client-architect relationship. Architectural production within a culture of patronage collapses the client, user, and capital into a single person. 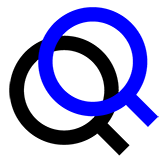 The developer marks an opening between the client-as-user and client-as-financier. As the real estate developer plays matchmaker to secure financing, pairing investors with projects, the design process is increasingly aligned with capital and the architect, increasingly beholden to both user and financier. Architectural practice serves the profit motive. When the developer is the client, she acts as the middleman between capital and design. In this way, the developer is a different form of client, one that architectural practice has been adapting to since at least the mid-twentieth century.4 Rather than a traditional client representing their own interests—a single point person concerned with usability, aesthetics, and costs—the developer’s responsibility is to assure good returns for investors, which translates into keeping costs low and ensuring the success of the project in the local real estate market. The tension around the term “speculative” manifests as a conflict of interest between the reproduction of capital and the elevation of design, with the term underscoring that conflict (to speculate is to assume business risk in the hope of a gain). Capital wants low costs and high profits, which is in opposition to the way the profession of architecture has traditionally defined itself as a service outside the competitive marketplace (until the 1980s contract fees were set by the American Institute of Architects’ schedule of fees).5 The assumption surrounding developer-driven projects is that they are generic—that is, badly tailored and profit-driven, thus, designed and built on the cheap. These supposed qualities mark the sources of conflict between design and capital. However, in an era of increasing financialization, it is important to evaluate the veracity of these preconceptions—to reframe the friction between design and capital and reconceptualize the figure of the client altogether.6 And in many ways, there is no better way to do this than to look back at the work of real estate developer Gerald Hines. While the practice is widespread today, Hines was one of the first commercial developers to pay higher fees for well-known architects. At the time, it was the corporation that was most likely to hire “star” architects to design its new headquarters and to construct symbolic meaning for the company and its brand. 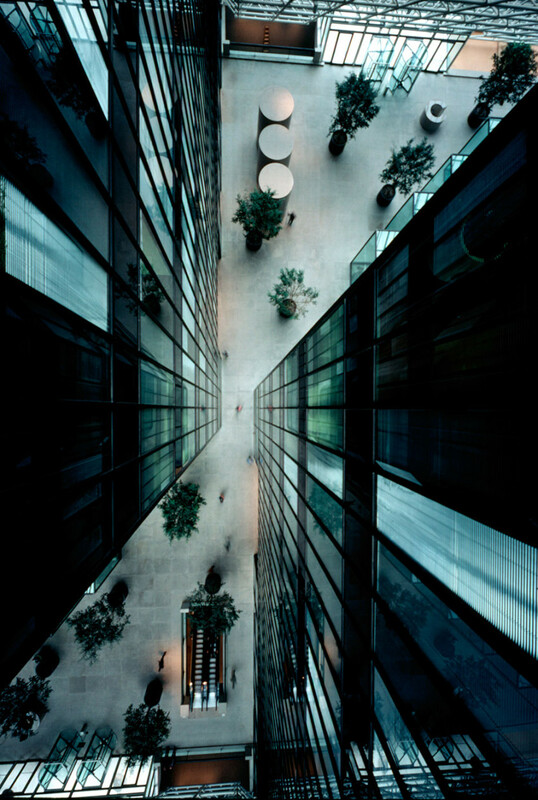 Hines, who recognized the significant drawbacks of owning a building—the extensive capital required for construction and the staff and expenses needed to manage it after—relative to renting office space, under flexible terms with no capital investment (low risk and cost), marketed a hybrid. He offered a distinctive, high-quality office building designed by name-brand architects, not unlike a corporate headquarters, but without the headache, time sink, and capital outlay required to build, own, and manage it. In the Richmond Corridor projects, he set his speculative projects apart by hiring architects who used a modest amount of low slung, late-modernist flourish to distinguish their buildings from others around town. Though not a new concept—Architectural Forum claimed that “Good Architecture is Good Promotion” in 1960—Hines was committed to this strategy: build architecturally “better” buildings, and in doing so, match the aspirational goals of a signature headquarters architecture with the low risk and economy of a speculative office building.10 As one observer noted, Hines was transforming the image of the developer from a “penny-pinching Babbitt to cultural patron of the arts.”11 He was expanding the repertoire of real estate developer to include high-cost construction and to undercut the advantages of building and owning corporate headquarters. 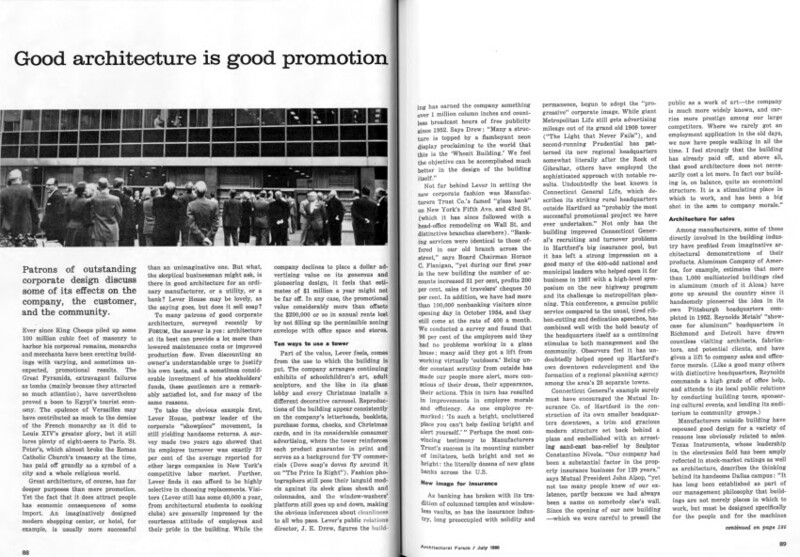 “Good Architecture Is Good Promotion,”Architectural Forum, vol. 113 (July 1960): 88–89. 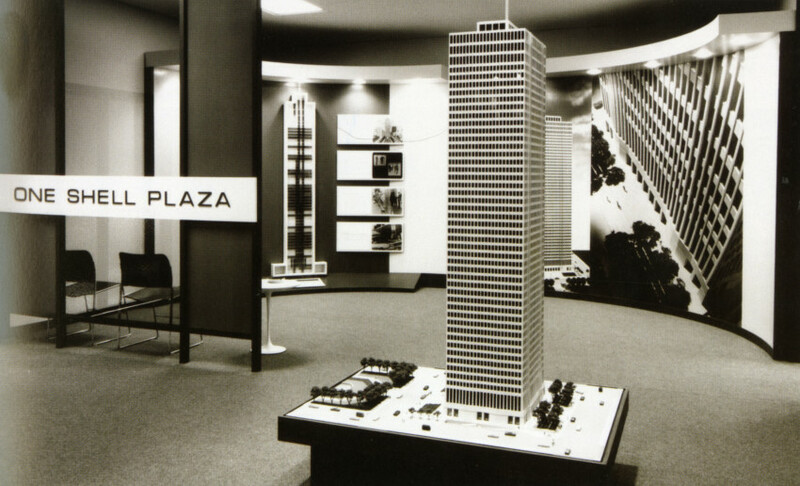 Promotional display of One Shell Plaza, Houston, Texas, SOM (architects), Gerald Hines (developer), 1971. 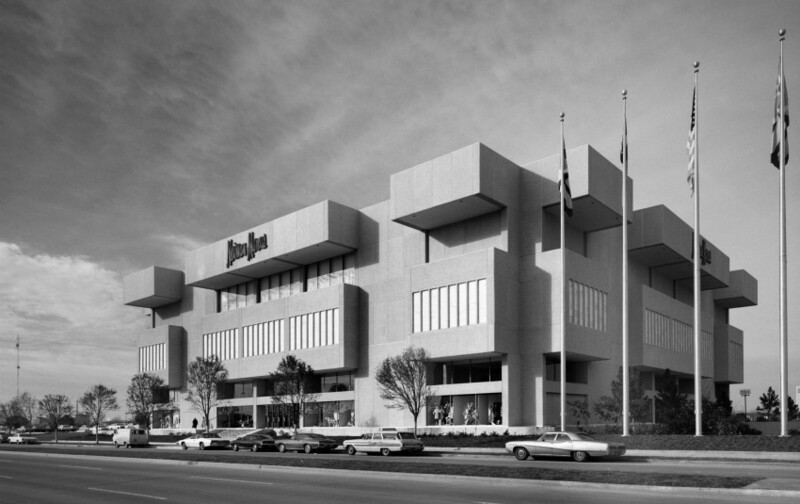 Neiman Marcus department store at Houston Galleria, Houston, Texas, HOK (architects), Gerald Hines (developer), 1969. 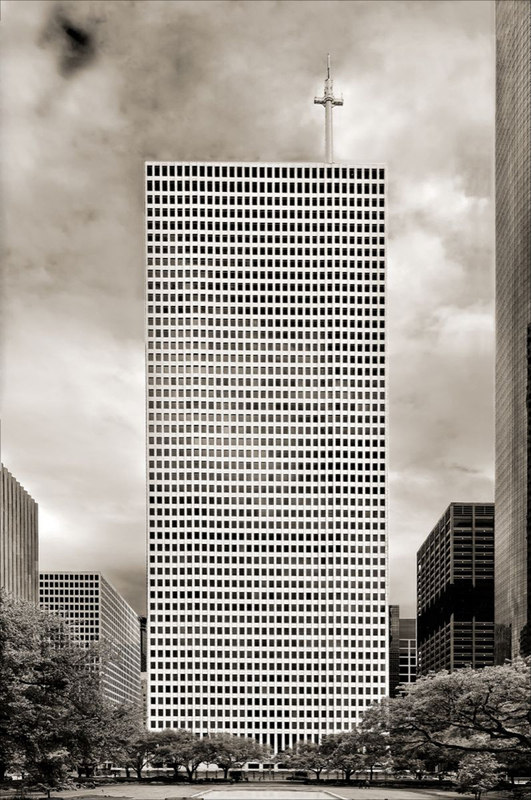 Two Philip Johnson towers developed by Hines sit side by side in downtown Houston. Trapezoidal tower on the left is Pennzoil Place, 1976. Gothic-inspired tower on the right is Republic Bank Center, 1987. 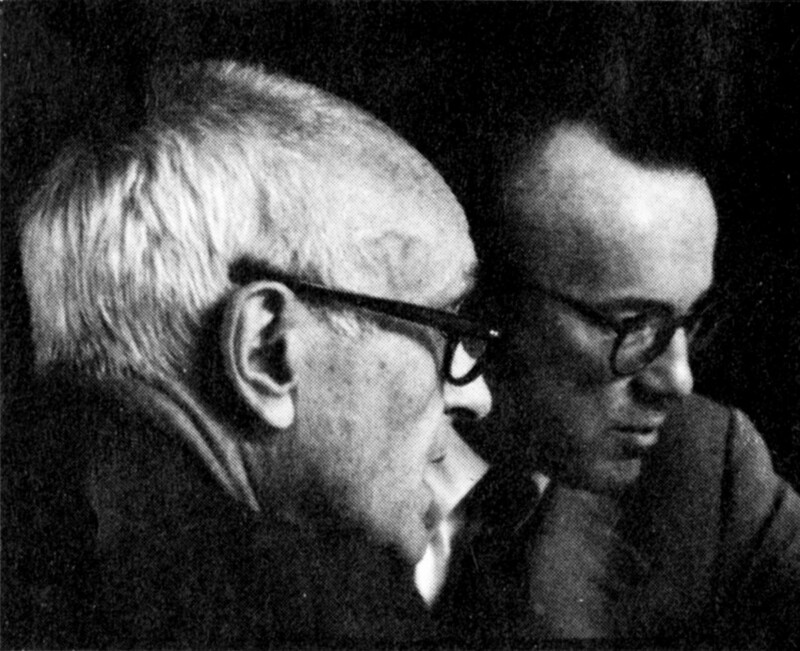 Philip Johnson (left) and Gerald Hines (right), c. 1976. 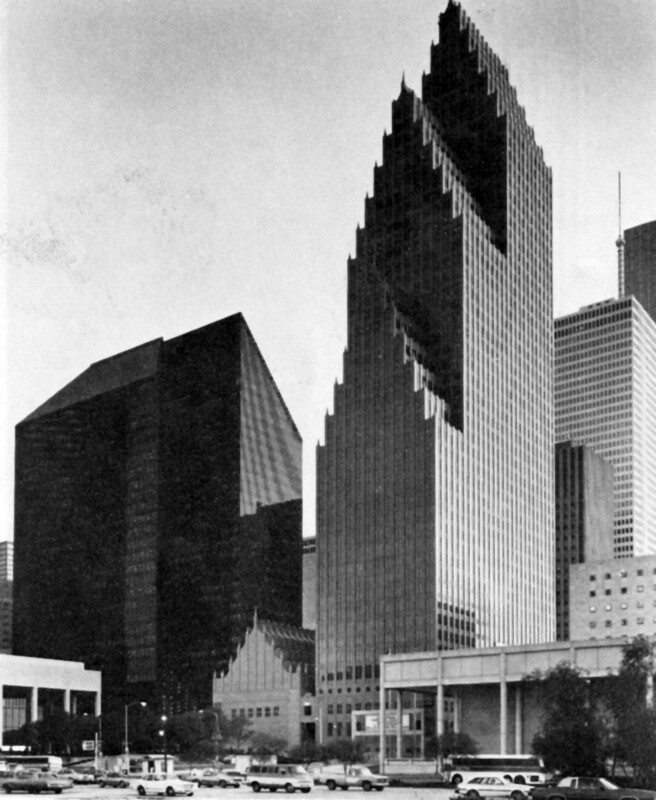 One Shell Plaza, Houston, Texas, SOM (architects), Gerald Hines (developer), 1971. 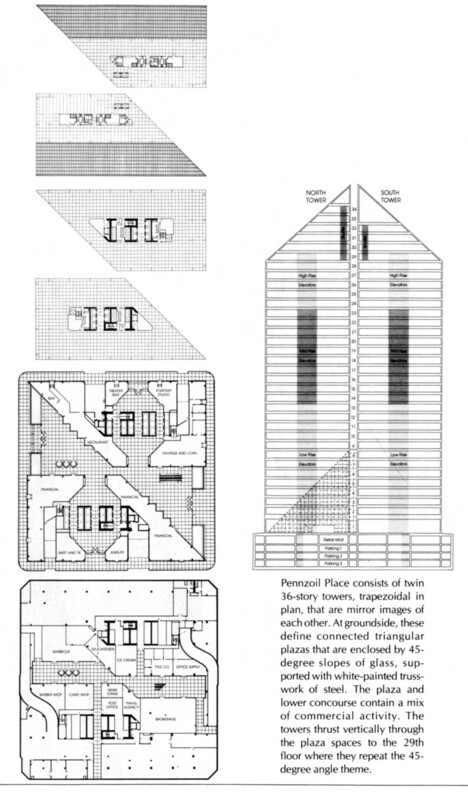 Plans and sections of Pennzoil Place, as published in William Marlin, “Pennzoil Place,” Architectural Record, vol. 160, no. 7 (November 1976): 102. Pennzoil Place, Houston, Texas, Johnson/Burgee (architects), Gerald Hines (developer), 1976. The tailoring of building to client here is twofold. Hines accommodated both the needs of capital (a site of that size and cost required a certain amount of square footage to be profitable) and the needs of two clients (Pennzoil and Zapata both got a tower they could point to as their own). He matched an iconic architectural image with the company’s marketing needs. Hines said of Pennzoil Place: “I asked Johnson for a building with two images. He came up with two buildings.”14 Architectural historian Adrian Forty has shown that the idea of functionalism, and the fit between form and function, shifted in the 1960s. If in the 1930s, the term was imported to the United States by Henry-Russell Hitchcock and Johnson as a stand-in for German modernist ideas, washed clean of their political and socially revolutionary character, a full theory of function in architecture never appeared. Only in the 1960s, with reactions against modernism, did the correspondence between a building’s design, its function, and its user take on the qualities we now expect. “To give functionalism specific attributes was a necessary part of developing a critique of modernism,” Forty explains.15 The leap from here to a market research driven aggregate-of-the-user as defining the fit between program and building is not far. To do so might also suggest that the aggregate-of-the-user, the average, works to lessen the conflict of interest between design and capital, bridging the gap by allowing a different kind of tailoring: market research as well-designed fit. Interior ground floor of Pennzoil Place, where two main tenants share an elevator lobby, Houston, Texas, Johnson/Burgee (architects), Gerald Hines (developer), 1976. Goldberger allows architects a list of concerns (excepting the one reserved for developers, apparently), and limits developers to the narrowly defined profit motive. Hines, Goldberger recognized, surpassed this simplistic mold. 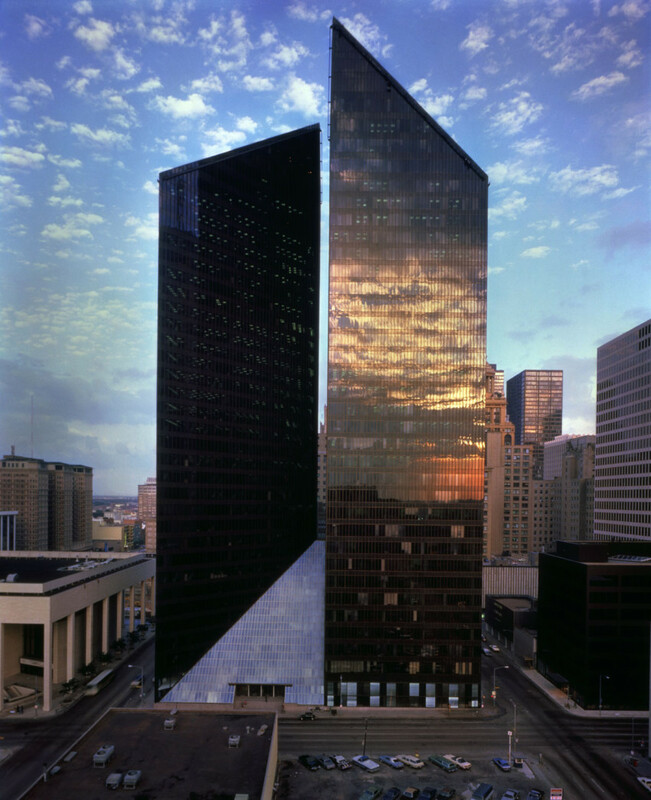 Not unlike other work by Hines during this period, the Pennzoil tower combined the benefits of a signature headquarters building with the economic and operational advantages of a speculative office building for his clients. A 10 percent cost increase over a typical building earned a lower interest rate and fewer construction delays, in addition to the expected higher per-square-foot rentals he could charge. In favor of high quality design, synonymous with signature architects and high-cost material finishes, Hines collapsed, or rather reeigneered, the conflicting goals and values of speculative design. Rather than value engineer high-end features out of a building, he could use them to gain higher returns. And like a skilled marketer, Hines recognized that good architecture was good promotion. In representing both his tenants and investors in the design process, he reminds us of the need to reconceptualize the category of the client. Whether through the lens of the fit between form and function or through the profit motive, the real estate developer might work to confound some stereotypes. But more importantly, this particular form of client offers new insights on architectural production in an age of financialization that we are only beginning to consider. Sara Stevens is an architectural and urban historian. Her book, Developing Expertise: Architecture and Real Estate in Metropolitan America (Yale University Press, 2016) studies how American real estate developers and architects reshaped suburbs and downtowns through the mid-twentieth century. She is an assistant professor in the School of Architecture and Landscape Architecture at the University of British Columbia in Vancouver, Canada.